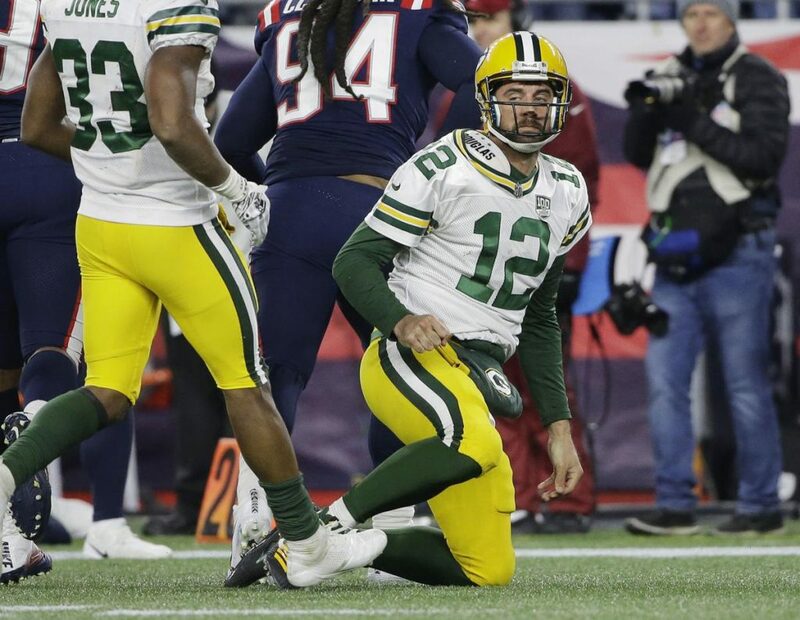 After yet another loss that dropped the Green Bay Packers to 3-4-1 it is becoming clear that this team is not who we thought they would be at the beginning of the year. Instead of contending for the Super Bowl as many expected, the Packers are in a battle just to finish over .500 for the year. Playoffs? They’re just trying to win a game. While the Packers’ defense has improved under the leadership of Mike Pettine, the Packers’ offense has taken a huge step backwards. Aaron Rodgers is no longer the quarterback who dazzled us all with incredible passes and amazing stats. He has had a few good drives this year but he is now a middle of the pack QB as his 98.9 passer rating reflects. On top of that he is only 7-7-1 his last 15 starts. But he is the highest paid player in the league and a State Farm spokesperson. With mediocre play from Rodgers, the rest of the Packers’ offensive problems stand out even more. It’s clear they only have one really good receiver in Davante Adams and it was a mistake letting Jordy Nelson go. Randall Cobb is a non-factor on offense, Geronimo Allison was always a non-factor is probably done for the year now with surgery looming. The rookies have shown promise, but aren’t anything that strikes fear in the heart of the opponent. At tight Jimmy Graham is still pretty good but Mike McCarthy has no clue how to use him. The Packers have a good running back in Aaron Jones but screwed around for eight weeks playing Jamal Williams and unbelievably, Ty Montgomery ahead of him most of the time. That certainly contributes to the lack of continuity on offense. It’s highly unlikely the offense can be fixed this late in the season. Unless Rodgers goes back to being Rodgers it’s going to be hard for the Packers to win no matter who they are playing. Looking at the schedule I only see three more wins the rest of the way. They should be able to beat the Dolphins and Cardinals at home and Jets on the road. Other than those teams everybody they play is better than them with the possible exception of the Lions. But the Lions have won the the last three meetings against the Packers. Which brings me to McCarthy. 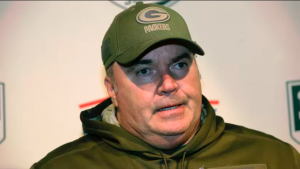 What has happened to the great offensive mind that was Mike McCarthy? The last two seasons he has been absolutely horrible. Could not do a thing with Brett Hundley at quarterback last year and is barely doing better with Rodgers back. I simply don’t understand it. Not even the return of Joe Philbin has helped the Packers’ offense. McCarthy seems to be feeling the heat. His post game presser lasted all of a minute and thirty seconds. Probably a good thing. Every week it’s the same damn questions and the same damn answers. At some point things have to change and it appears McCarthy is no longer capable of pulling that off. Every week it’s the same old offense. Other than a Super Bowl appearance I can’t see any way McCarthy is the coach of the Packers in 2019. And if you want to hear something really funny, the Packers opened as 10-point favorites over the 5-4 Dolphins. "You teach discipline by doing it over and over, by repetition and rote, especially in a game like football when you have very little time to decide what you are going to do. So what you do is react almost instinctively, naturally."